The NDEx Team is always striving to improve and simplify our end user experience… after receiving their valuable feedback, we focused on enhancing the NDEx search feature. 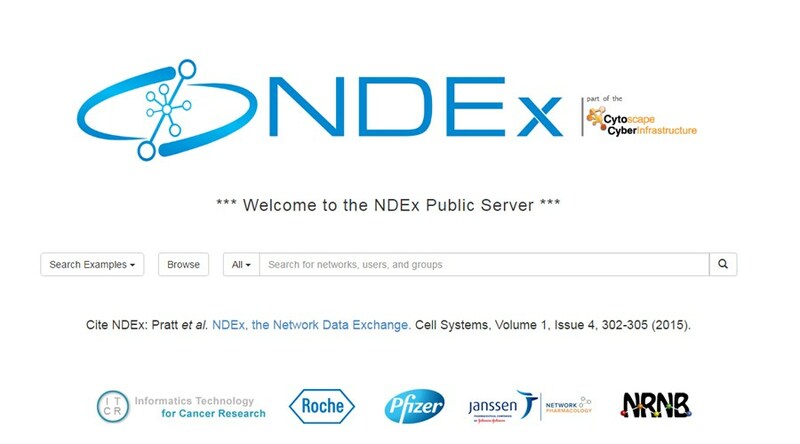 First of all, searching for biological networks in NDEx is now easier thanks to the addition of a "Browse" button that will let users explore the entire server's content. We also added a "Search Examples" button that provides tips to create effective search strings: this allows users to take full advantage of the SOLR server and its indexing schema. Networks can be searched based on a wide selection of criteria including but not limited to creation time, organism, number of edges and licensing info. 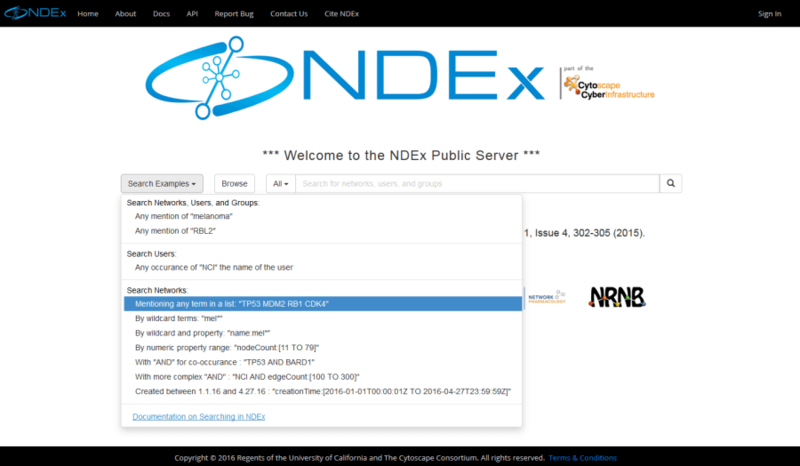 The "Search Examples" button also provides a direct link to the NDEx advanced search documentation that describes in detail all the options available. Another new feature is the "Combined Search": by default, NDEx can now be searched for networks, users and groups at the same time. For example, searching for "melanoma" will return a results page with three tabs… one for networks, one for users and the last one for groups. Additional "behind the scenes" improvements make sure search results are more significant and less redundant, but we don't want to bother you with these nerdy, techy details… Just see it for yourself! Head over to the NDEx Public Server and start searching!